My “destination bachelorette” was an estrogen-filled celebration that brought my high school girls together for one last “fling before the ring”. Hong Kong was the perfect destination for us because of its international, vibrant and cosmopolitan setting matched by its close proximity from the Philippines (2 hours). It may just be a stone’s throw away, but for us it changed the whole ambience of the celebration, taking us away from our hometown Manila (where everybody knows each other) into Asia’s playground for young professionals. Stressed out from wedding planning and banking back home, I was so relieved to take a break to escape from it all. There I was, in the company of old friends, many whom I’ve known since I was seven years old (twenty years of friendship!). We may not have been as close as we used to be in the last few years, especially with work, some of us moving out of Manila, etc., but getting together again made us realize that we still had that rhythm from knowing each other so long, despite having changed in different ways since we graduated high school ten years ago. Jam, my best friend. This well-rounded theater club president, chorale member, high school cheerleader and prom queen moved on to study industrial engineering in college. Post graduation, however, she pursued beauty pageantry and classical singing - but don’t judge a book by its cover! Having grown up with three brothers Jam is as down to earth and real as it gets. Sabs, the indier-than-thou surfer. Back in high school she was editing the school newspaper, her nose always buried in a graphic novel. She set up a comic book organisation in college, where she began in the business honours degree, but decided to switch to a more creative track later on. I wasn’t sure she was going to make it to the bachelorette (big cities aren’t her thing, and neither is clubbing), but she pulled through in the end! Tanna, fellow banker in the middle of a career switch. Tired of finance, she quit her job in Manila to pursue an MBA in Hong Kong, where she got a scholarship on one of the top programmes. She’s off to Barcelona for her next semester. Her life is changing and her future is so excitingly fluid. Sole Sister Julienne, who moved to Hong Kong in 2011 and therefore organised the overall logistics of the whole affair. 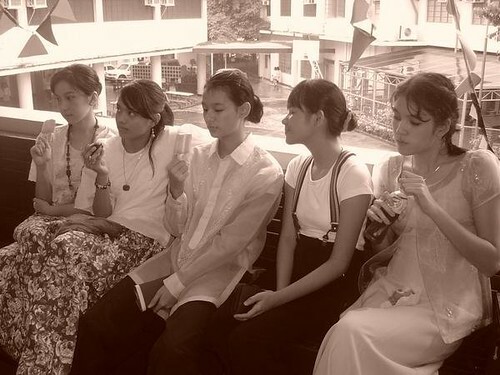 Back in high school she was joining interschool debate competitions and cross-dressing as male characters in the school plays and dances, since we were in an all girls school, haha! And finally, the bride, a 15-year ballerina and dance troupe captain turned 5-year investment banker who raised billions to fund the 3rd largest merger and acquisition in Southeast Asia and a power plant that lights up Boracay. Before tying the knot, I had the amazing opportunity to become a youth ambassador for SSEAYP travelling to Japan, Vietnam, the Philippines, Myanmar, Malaysia and recently, Cambodia with 300 youth leaders in ASEAN-Japan. This program, now on its 42nd year aims to promote international cooperation through the discussion groups, institutional visits and actual projects we implement catering to current social issues. The bachelorette empowered us ladies to travel, explore and gain new experiences together! Each girl had a role resulting in such a great team. Julienne drew up an excel sheet with our day-to-day programme covering everything from restaurants to activities (and most importantly, which bars gave free drinks to ladies on a given day). Sabs was the photographer, food critic and artistic director. Jam was the make-up artist, fitness trainer and wardrobe planner. She even met me weeks before to provide a checklist of the things to prepare. Tanna helped us get from place to place efficiently. When there were heated discussions about plans, someone would shout “follow the excel file!” We would laugh about it, but it really did manage to keep us all on the same page. I felt like such a Queen Bee strutting in my painful dagger-like heels, while my “#bachelorettesquad” (haha) did a catwalk in V-formation across Lan Kwai Fong, Hong Kong’s party street. Being side-by-side with my gorgeous girls gave me an extra boost of confidence each day. Bachelorette themes should reflect who you are. Being a ballerina for almost 15 years made Swan Lake an obvious choice. 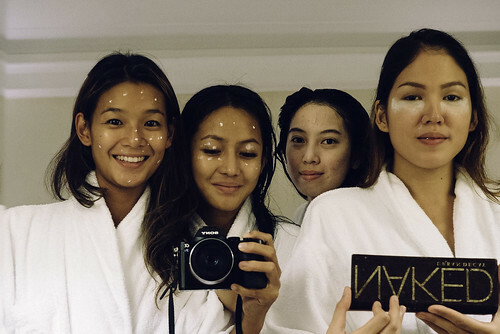 Some of the funnest moments while travelling with my girlfriends would be the 1-2 hours of preparation before we went out. We took selfies, wore matching bathrobes, grooved to a salsa songs and perfected our themed looks for the evening. An amphitheater at the end of Wo On Lane served as our stage. I taught my swans a few poses that we actually used for the ballet. We also went all-out with our other themes: Coachella night, all-white day with flower crowns, maxi dress day, bandage dress night and an upcoming Great Gatsby night for my bachelorette in Manila. Despite the number of glasses of Berroca, recovery takes longer now compared to our early 20’s. The bachelorette squad decided to spend some time in the hotel to recuperate and combat the hangovers and burn the extra calories from dim sum. Jam, our fitness blogger, led our circuit training in the top-floor fitness center of Harbour Grand Kowloon. The inspiring view of the harbour made our workouts more bearable. Sabs - our documentation head - also enjoyed taking aerial photos on the roofdeck with the stunning Hong Kong skyline. We also took advantage shooting at the famous glass walled pool on the 21st floor. The hotel is the only one in Hong Kong with its own private port where cruises can dock, but unfortunately we weren’t able to take advantage of it since it was raining for most of the weekend we were there. After these activities, the girls and I enjoyed snuggling under the thick white comforters while enjoying an amazing view of the harbour. 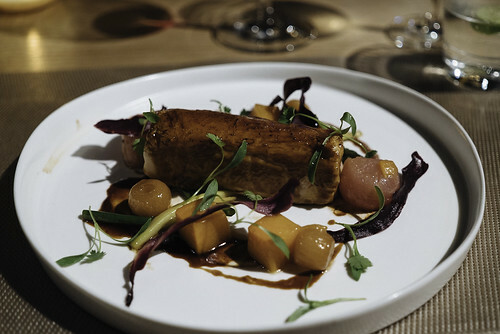 One of the groomsmen, a Hong Kong based lawyer, surprised us with a memorable gastronomic experience at AnOther Place by Michelin-starred chef David Myers. 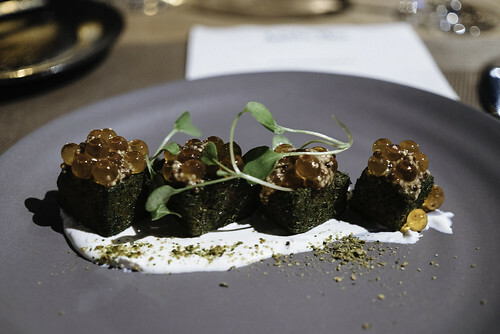 This was a 4-course discovery menu in Hong Kong’s first speakeasy dining room. 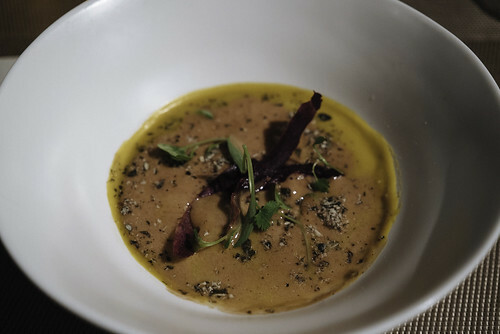 The restaurant’s dim lighting and cozy interiors made the dinner intimate as we took our time. The restaurant was hidden in an industrial complex with the view of the harbour where you would never expect to find such a gem. One must be wary of the unpredictable. Things happen and plans change so be street smart, cooperative, spontaneous and adaptable. Rule number #1 should be to always have each other’s back. What’s important is to speak up if you’re feeling sleepy, tired or sick so that the group can help out. We had less than five hours of sleep each night, so we felt the consequences to our health. Being an all girl group attracted extra attention. Be strong enough to say no. When one was feeling uncomfortable on the dance floor, other girls were mindful to quickly pull that girl away. Take into consideration the rush hour when moving around and provide time allowances when making itineraries. Check the weather and adjust outfits. Be mindful of your valuables and bring an ID. Don’t hesitate to ask and clarify costs before agreeing. For example, passing one bridge versus another bridge by cab may cost an additional 100 HKD (around 12.80 USD). Always pack scissors, band-aids and a sewing kit. Trust me, it’s worth it to bring an extra bag with flats or flip-flops and of course, don’t forget your red lipstick! A quick stop in Kimberley Road or the “Wedding Street” of Hong Kong led me to find my tiara for the wedding. It was great doing that with the girls, who were honest about whether something looked good or not. 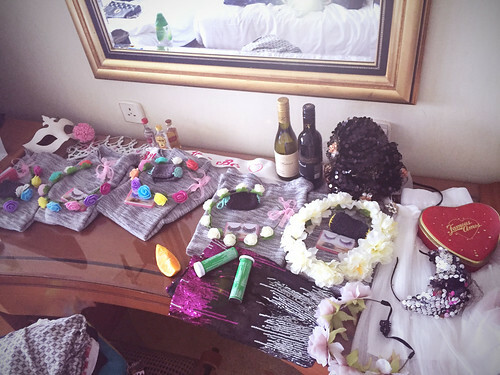 The bride-to-be sash is probably the most valuable item of the trip. It made our nights out VVIP. It served as a “no-questions asked” ticket to all the exclusive places. It got us a few bottles, free flowing champagne and numerous shots. live It also served as an excuse for the funny truth or dare tasks throughout the night such as “write love advice for the bride on a napkin” or “find an exotic guy and ask him to teach you something in his language”. 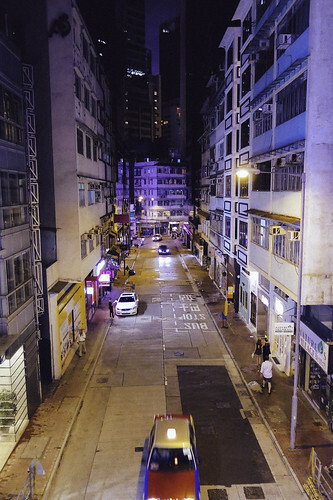 Hong Kong’s nightlife is an ever-evolving scene that continuously reinvents itself. We always found ways to mix things up every night or rather, every morning. 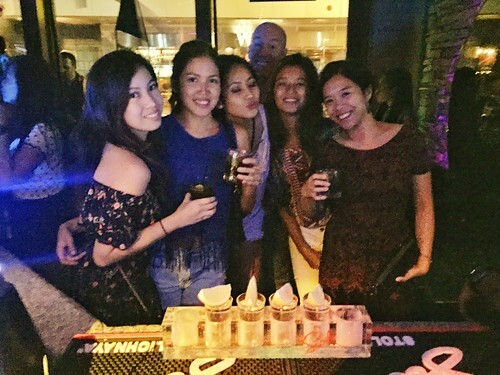 For those planning a HK bachelorette, remember that on Wednesday and Thursday nights, many places serve free mixers to girls until around midnight for Ladies’ Night! Whether on stage, on platforms, in bathrooms, in MTR walkways, on the street or on rooftops – the great thing about Hong Kong is that there are no judgments when it comes to dancing the night away. Dragon-i was the constant place to be in at the peak of the evening. 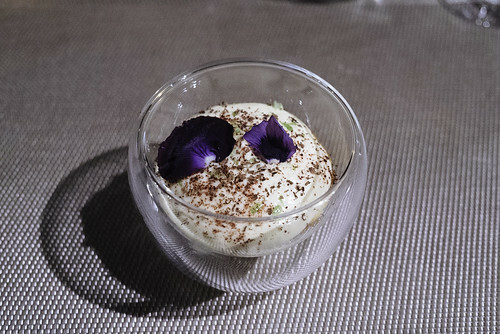 Our top picks would include the rooftop in Ce La Vi, the hidden garden of Le Jardin, underground beats of Volar, the live music in Insomnia, the latino jam in Tonic, the street scene outside Solas, the chill wine and vibe at FAB, the quick walk to Soho for hazelnut lamb in Olive, chocolate cake in Sift.. the list goes on. 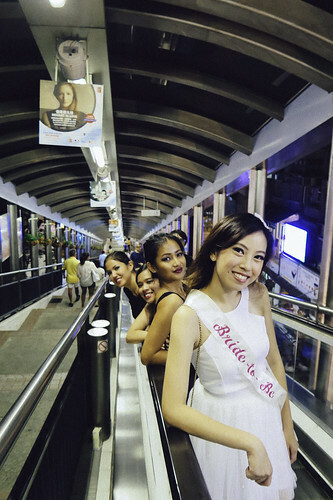 Being a bride-to-be in Hong Kong meant dozens and dozens of well-wishers saying either “Are you sure?” or “Congratulations”. This trip strengthened my decision and made me realize more than ever that my fiancé is the one. I’m truly happy that we were able to have this girl bonding trip before this next stage of my life. If you were to have your own bachelorette where would you do it? Do you prefer the spa and stay-in type or would you party like it’s your last? Share your thoughts in the comments sections! 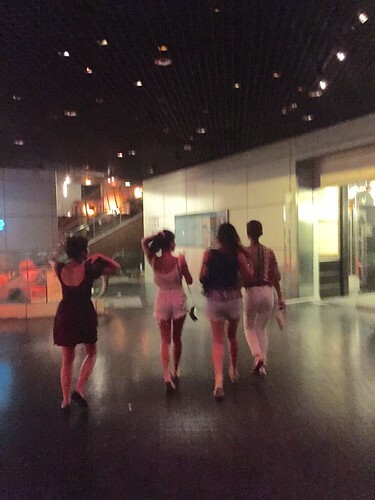 We’d like to acknowledge Harbour Grand Kowloon who sponsored two nights of our bachelorette. The property is a five-star hotel situated on the Victoria Harbour waterfront, five to eight minutes away from the hustle and bustle of Tsim Sha Tsui by Hotel shuttle bus available every 20 minutes, and just footsteps from the pier travelling to Hong Kong Island. Accessibility would even be further enhanced with the MTR Whampoa Station scheduled to commence service by the third / fourth quarter of 2016. The hotel features 555 rooms and suites, six restaurants, a rooftop swimming pool, fully equipped gym facilities, and just footsteps from the vibrant Whampoa Shopping district, suitable for both business and leisure travellers.